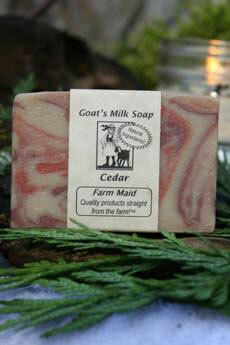 When you shower with this it smells like you are inside a Cedar hope chest! 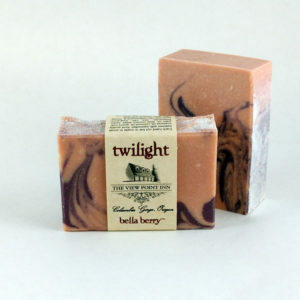 Bar smells stronger when wet. 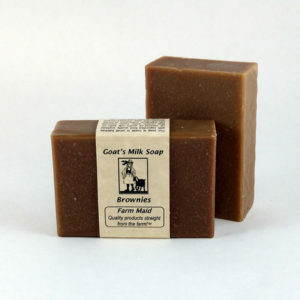 Scented with pure both Eastern & Western Cedar essential oils. 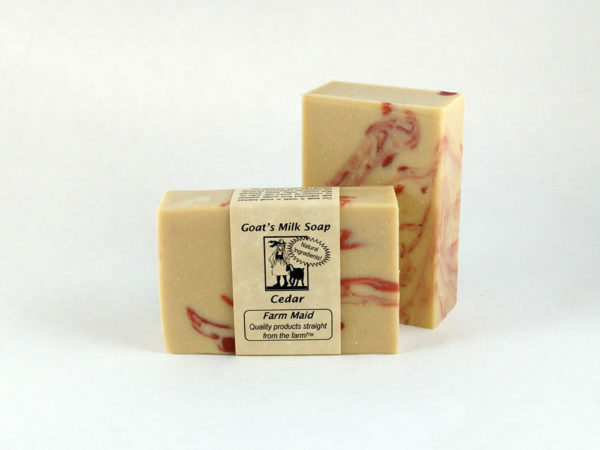 Tan with 2 colors of red swirls. 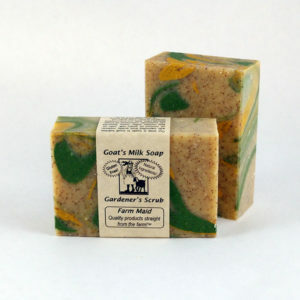 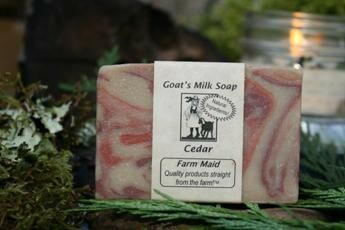 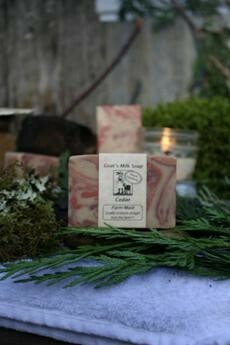 Our Cedar soap is made in small batches with saponifed food quality soybean oil, coconut oil, goat’s milk, palm oil. 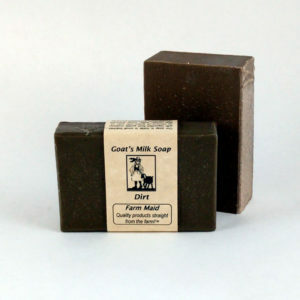 May contain oatmeal, water, herbs, botanicals, essential oils, cottonseed oil, honey, sea salt, mineralcolorants.